Tribute to Led Zeppelin. CODA are the most authentic and exciting Led Zeppelin Experience. The band, replicate the sounds and sights of a typical Led Zeppelin show like no other. They are the ONLY Led Zeppelin tribute band in the world to look and sound exactly like the original band Led Zeppelin of 50 Years ago. 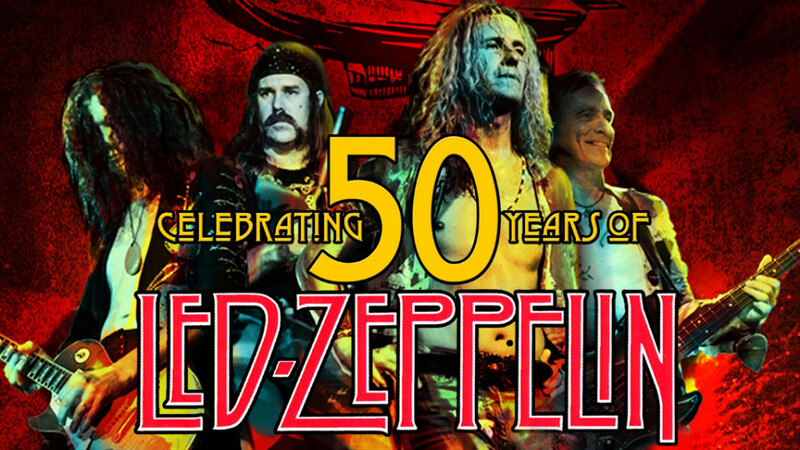 Featuring authentic looking and sounding instruments as well as incredible, hand-made replica costumes that will take you back to the time when Led Zeppelin ruled the world! Featuring all the classic Led Zeppelin songs such as Whole Lotta Love, Stairway to Heaven, Rock and Roll, Black Dog, as well as Led Zeppelin live rarities such as When the Levee Breaks, Ramble On, Wanton Song and more, CODA - a Tribute to Led Zeppelin have got it all covered. The band can also perform a wide variety of Led Zeppelin's acoustic songs such as Going to California, That's the Way, Tangerine and much, much more. This Led Zeppelin show takes its inspiration from the studio recordings, as well as official, and unofficial!, live recordings to bring you the best of all facets of Led Zeppelin. Led Zeppelin, performed live on stage with no tricks, backing tracks or safety net! Incredible attention to detail unrivalled by any other Led Zeppelin tribute band, a singer with all the range and power of Robert Plant, a guitarist with all the riffs and groove of Jimmy Page, a drummer with all the feel and power of John Bonham and a multi-instrumental bassist like John Paul Jones.